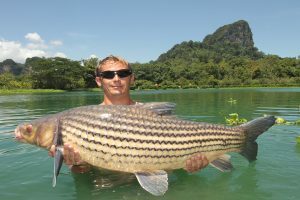 Gillhams Fishing Resorts Invites You To Experience Fishing In Thailand! 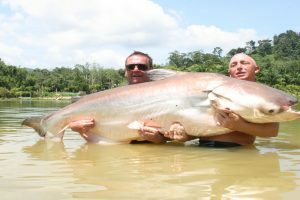 Here at Gillhams fishing resorts we welcome all anglers who would like the opportunity to fish for monster fish, we cater for couples, families, single anglers or group bookings, we even take exclusive complete resort bookings. 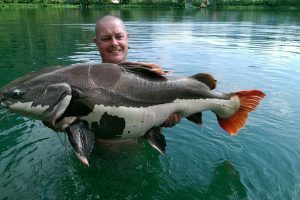 We cater for everyone; from the experienced angler to the novice, we will provide your dream fishing holiday. 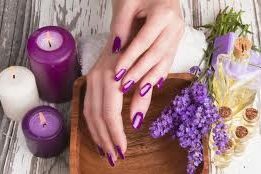 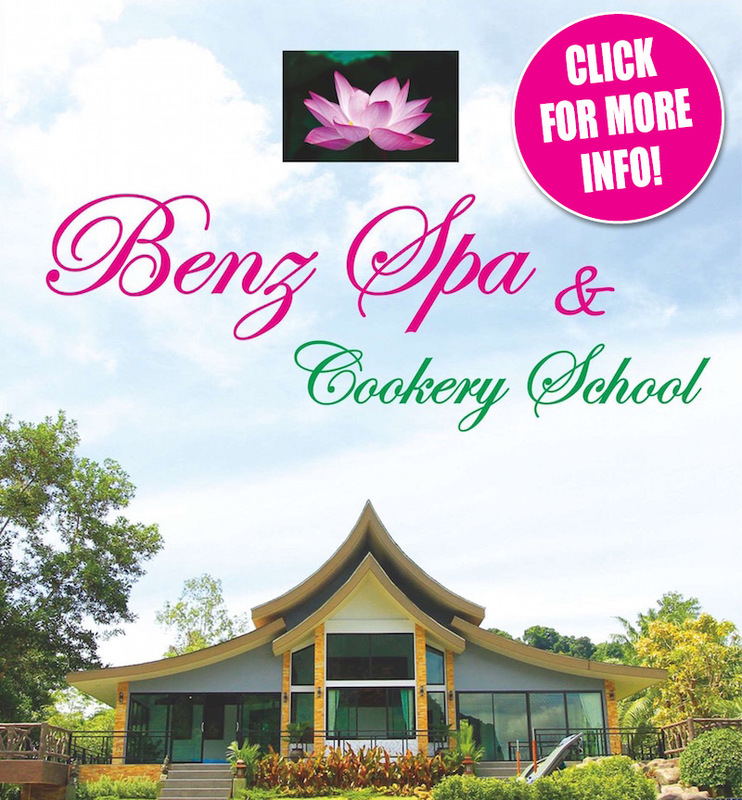 Benz Spa & Cookery School is set on the hill overlooking the lake, the spa is fitted with four massage beds, steam room, Jacuzzi and a second infinity swimming pool set in the landscaped gardens with ornamental fish ponds, plus a cookery school. 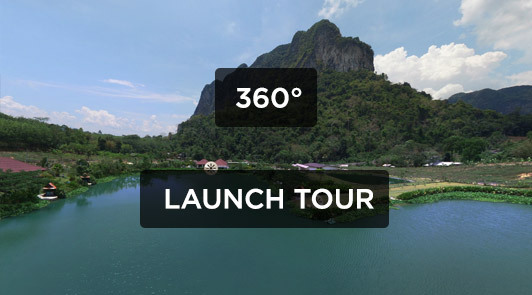 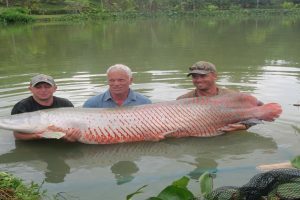 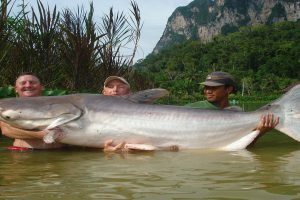 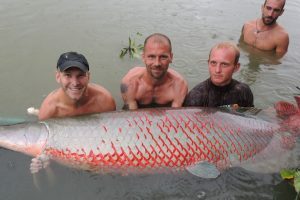 Lake Fishing In Thailand For River Monsters Including Arapaima. 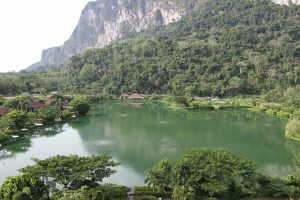 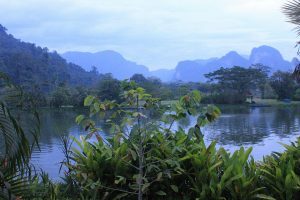 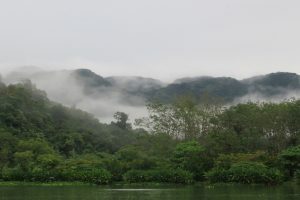 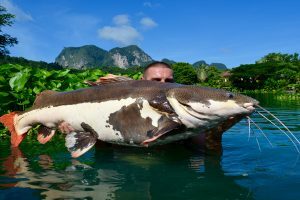 We have a 12 acre lake stocked with 52 species of fish from around the world, six species exceed 100lbs these being; Arapaima 560lb, Chao Phraya Catfish 160lb, , Mekong Catfish 300lb, Siamese Carp 200lb, Wallago Leeri 150lb. 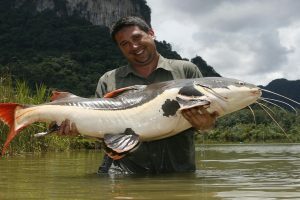 Several other species are getting close to the magic 100lb barrier, including Amazon Redtail Catfish. 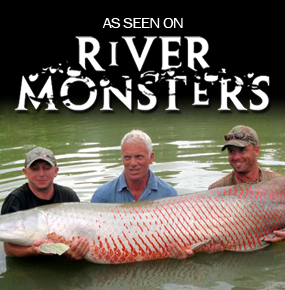 Try Exotic Fishing For Smaller Species; Such As Giant Snakehead And Arawana. 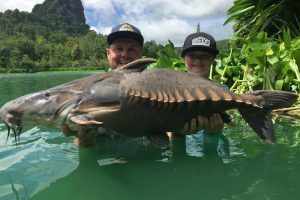 We also have a small lake that is exclusive to guests staying at the resort, this lake is heavily stocked with 27 different fish species up to 30lb, this easy lake is ideal for a bit of fun between the serious task of catching the river monsters that inhabit the main lake. 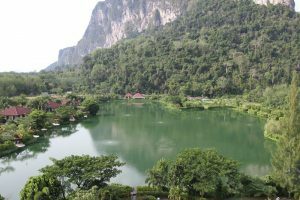 This lake fits in perfectly for a few hours fishing after a day trip, and can be fished for an hourly rate. 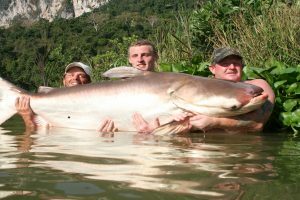 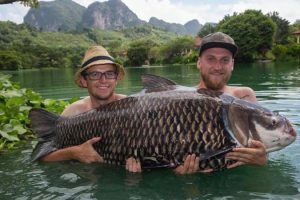 Carp Fishing In Thailand Including Giant Siamese Carp. 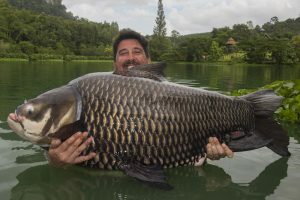 The fish in Gillhams are growing bigger than anyone ever thought possible, especially the Siamese carp of which there are over 70 fish in excess of 100lbs and at least four over 200lb, add all the back up fish between 70lb to 90lb and its easy to see why Gillhams is regarded the best carp fishery on the planet. 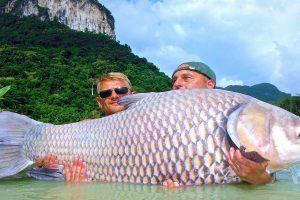 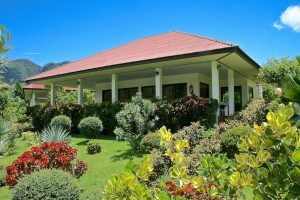 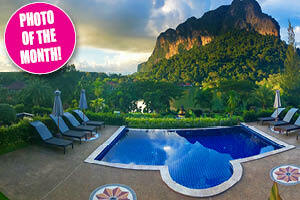 The Complete Luxury Fishing Holiday In Thailand. 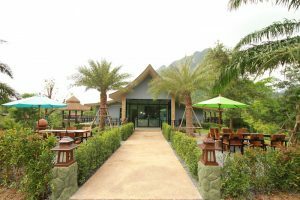 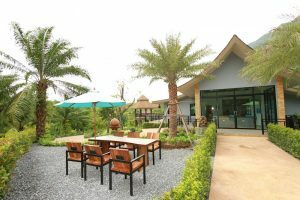 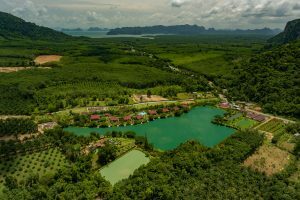 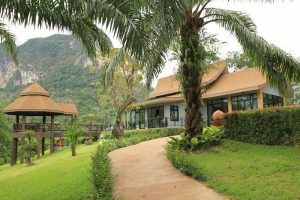 The complex boasts a lakeside restaurant serving Thai and European food, plus a small shop selling day to day items snacks and ice creams. 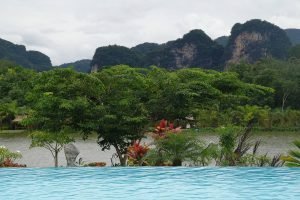 There is a large infinity swimming pool overlooking the lake, plus a gym. 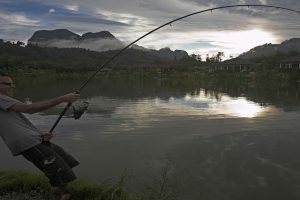 All the fishing locations have a tiled sala for shelter fitted with lights fan and charging points. 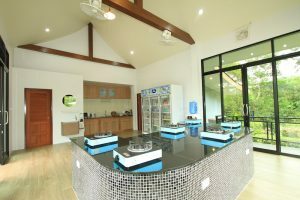 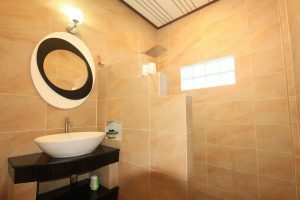 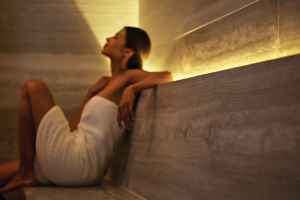 We also have a spa with 4 x massage beds, steam room, Jacuzzi and a second infinity swimming pool, set in landscaped gardens with ornamental fish ponds, plus a cookery school. 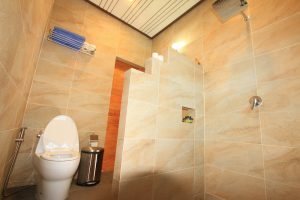 Also at the Spa we offer private romantic meals, the meals will be from a selective menu and booked 24 hours in advance. 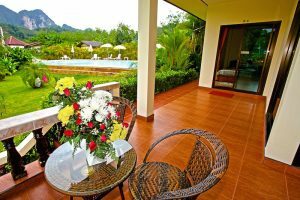 You will get your own private elevated sala for the evening overlooking the gardens and lake. 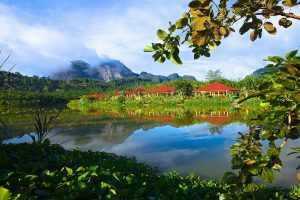 Considered By Many People To Be The Best Fishing Resort In The World. 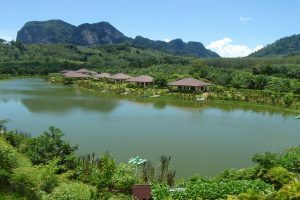 The resort offers 14 luxury two-bedroom bungalows set within 12 meters of the lake, these bungalows are fitted with modern custom built furniture, fridge, cable TV and DVD player, fully air-conditioned plus ceiling fans plus a safe for your valuables and complimentary tea and coffee making facilities, towels are provided.Every bungalow has a large covered balcony with stunning views over the lake and lime karst mountains in the surrounding national park. 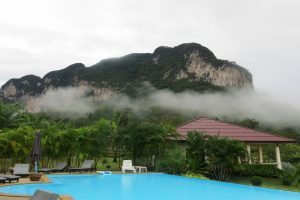 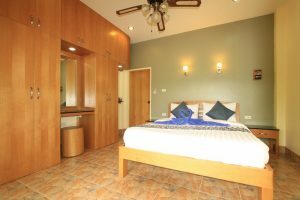 The complete resort has free high speed WiFi, also offered at additional cost is a laundry service. 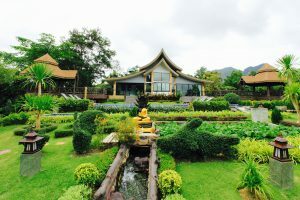 Power cuts are not an issue at Gillhams, the whole resort has back up generators to eliminate those annoying power cuts that are a common thing in most Thai resorts.All the above is set in 25 acres of stunning landscaped gardens that are kept immaculate by a small army of gardeners, the whole complex is surrounded by discreet fencing and has a 24 hour security guard. 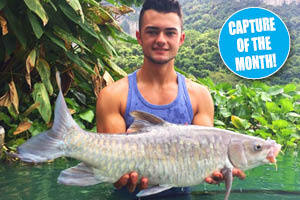 Quote From Fishing Legend John Wilson MBE. 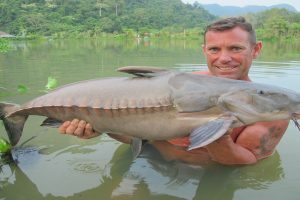 There can be few more attractive fisheries in the whole of the world, let alone Thailand! 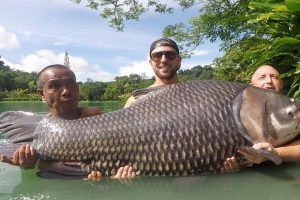 Indeed I rate Gillhams as the best man made still water fishery I have ever visited, and I have fished in over 60 countries! 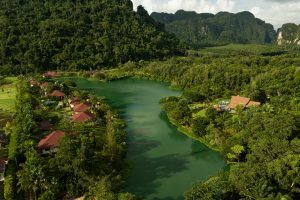 I fished and made films at many venues in Thailand, but in visual terms they all lacked the hidden beauty of this fascinating country. 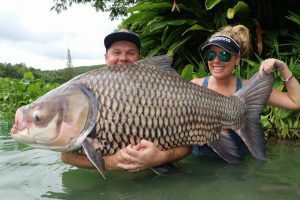 Although I was invited to film at Gillhams sadly I never took up the offer, wrong move Wilson, and one I have regretted ever since! 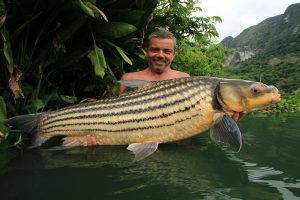 The Best Fishing Guides In Thailand. 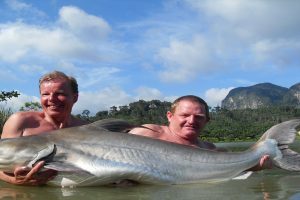 The resort provides permanently employed English speaking fishing guides, they work one guide between four anglers and will assist all anglers to the level required. 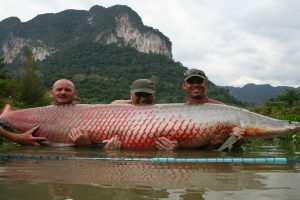 They are on the lake every day, on their days off they fish the lake. 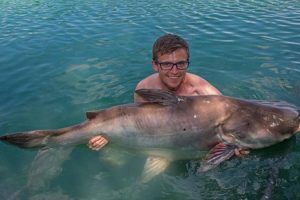 The guide’s knowledge of the lake and the fish is second to none, if you listen to their advice and use the rigs we provide and methods they recommend you cant go wrong. 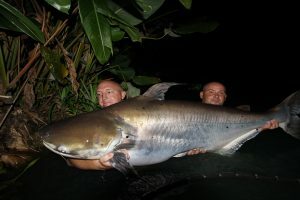 Tell the guides what fish you would like to target, and they will try there hardest to get you the fish of your dreams.